Photography is something that I love. I love to capture moments and memories with my daughters, I love learning how to improve the photos I am taking and I love to look back at them and remember the day. I take hundreds (who am I kidding thousands) of photos throughout the year, they end up on social media and right here on my blog but very rarely do they ever make it to print. I used to print off lots of photos but I just find now they end up in boxes collecting dust. There is only so much wall space I can fill with our faces, which is why creating a beautiful photo calendar with Snapfish seemed a much more practical way to display some of my favourite shots of 2017. 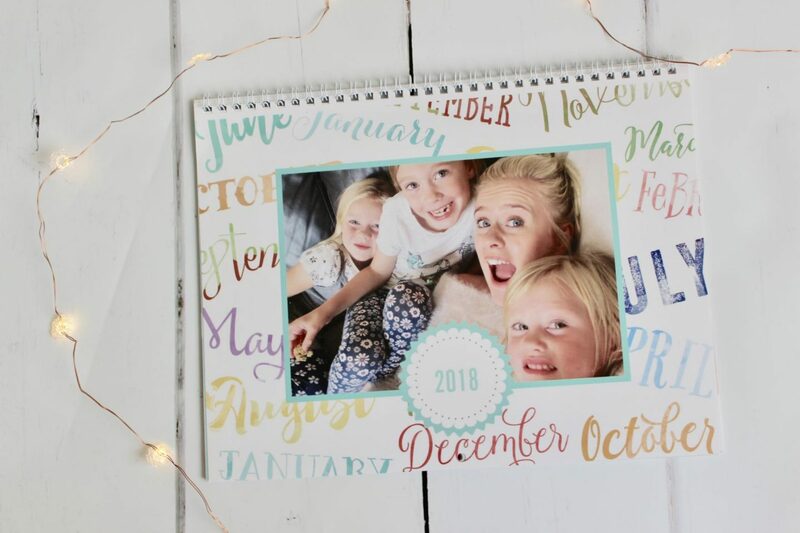 Having a personalised photo calendar is such a lovely way to print photos and have them displayed in the home, each month I will turn the page and find a new memory to make me smile. 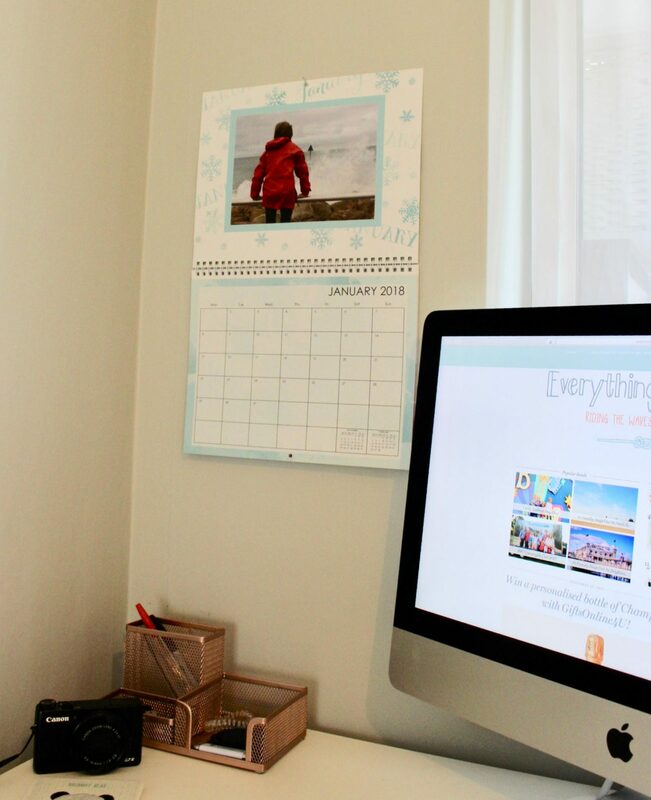 Creating a calendar online with Snapfish really couldn’t be easier; they have a ton of great themes to choose from so you are bound to find one that fits your style and home decor. The theme I’ve used here is called seasonal water colours, I love the bright colours and how I could chose my photos based on the season. Snapfish have a bunch of really cool tools to customise your calendar, you can quickly upload photos from your computer/device or directly from your social media. 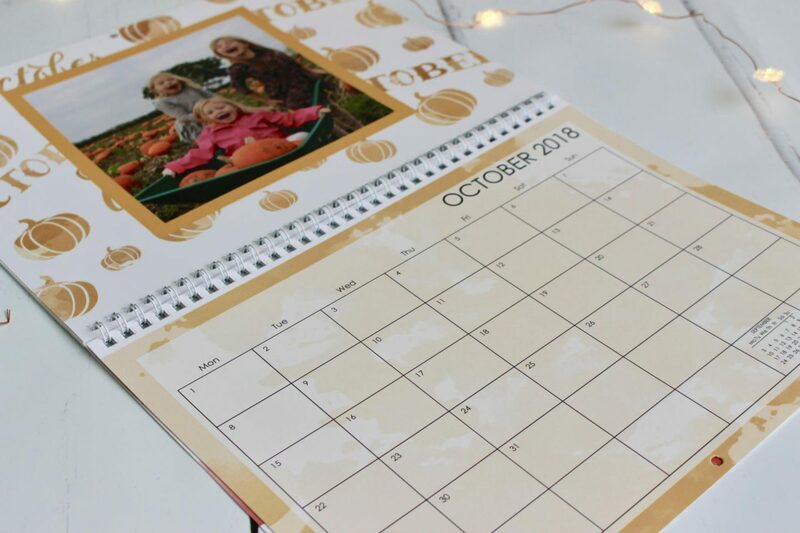 You can add in special dates with text and photos and even pop on some fun graphics – you can get as creative as you like. I left mine blank as I find it strangely satisfying going through and writing in our dates and events for the year myself. There’s something about putting pen to paper I find so therapeutic. I popped the calendar up in my work space to make the otherwise blank wall feel a little more homely. While I am working away I can easily see any events we have coming up and seeing my little ladies up there will make me smile everyday! I am so happy with how it has turned out; the photo quality is excellent I was so glad to see the photo’s didn’t turn grainy at all. This wall calendar will make the perfect Christmas gift for family members or even as a little treat to yourself. I have a code for all my readers that will give you a whopping 40% off at Snapfish just use MUMMY40 at the checkout for a great saving. *This post is written in collaboration with Snapfish, all thoughts and opinions are my own. Previous Post Win a personalised bottle of Champagne with GiftsOnline4U! Next Post One parent in search of a good night sleep..
Ah, I think a personalised calendar makes such a nice gift. I bought one for my Dad one year and he was over the moon. 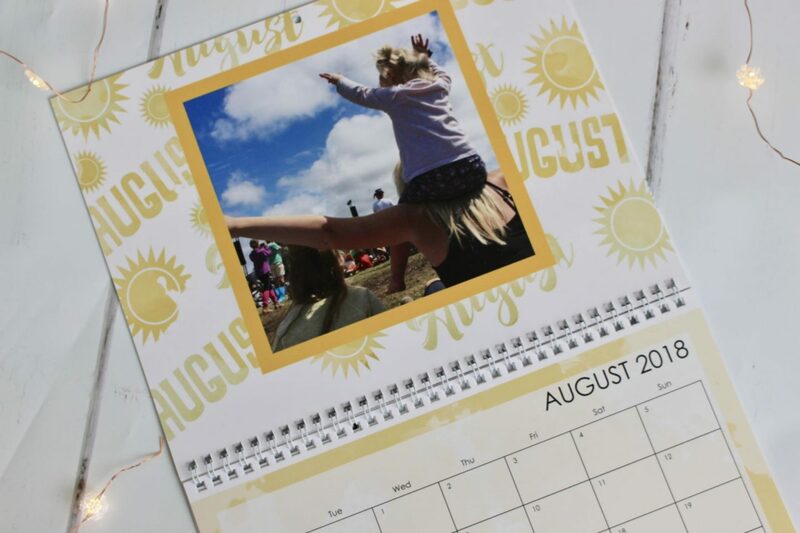 I love using my one photos to personalise things – a calendar would be a great way to brighten up the day. This looks really fab, and I agree I find writing in dates with pen therapeutic too!